When do bass spawn? And why should you care? The bass spawn is one of the pillars of bass fishing. Understanding when bass will spawn in your area can help you key in on their patterns for months. Prespawn bass fishing is electric, one of the most fun times to be on the water all year long. Fishing during the spawn is its own world, pulling bass from beds or using the seasonal aggression to catch other predatory species. 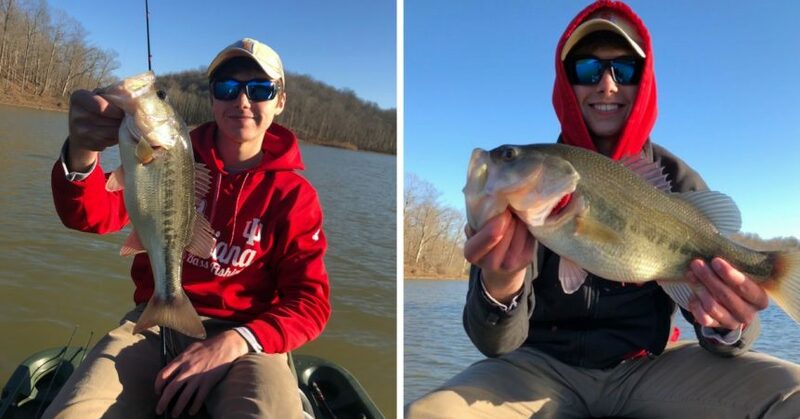 Post spawn bass fishing can signal the beginning of the dog days, where finding bites is a tougher task than the previous two phases of the bass spawn. With the vast difference in weather from sea to shining sea, the schedule of when bass spawn varies for anglers in different states. The warmer temps in the south hit first, working their way north as temperatures decrease and you find yourself further from the equator. Let’s not get too scientific, though. We’ll just show you when you should roughly expect bass to spawn in your neck of the woods. As you can see here, the early spawners are the furthest south, with most northern states not seeing spawn activity until the summer months. The south is heaven for those who love to fish the bass spawn. You’ll find anglers fishing prespawn tactics as early as Valentine’s Day some years! What Is The Bass Spawn? Now, to get a little more scientific and explain. What exactly is the bass spawn, and how does weather affect it? The bass spawn is when bass lay, fertilize, and hatch their eggs. The entire process can take as little as 3 weeks in some spots! Bass find a sturdy, hard bottomed area to build a nest to begin the spawn. From there, the eggs are fertilized and hatched. Once the minnows in the nest are self sufficient, everyone goes their own way and move into their body of water’s ecosystem. Simple enough! 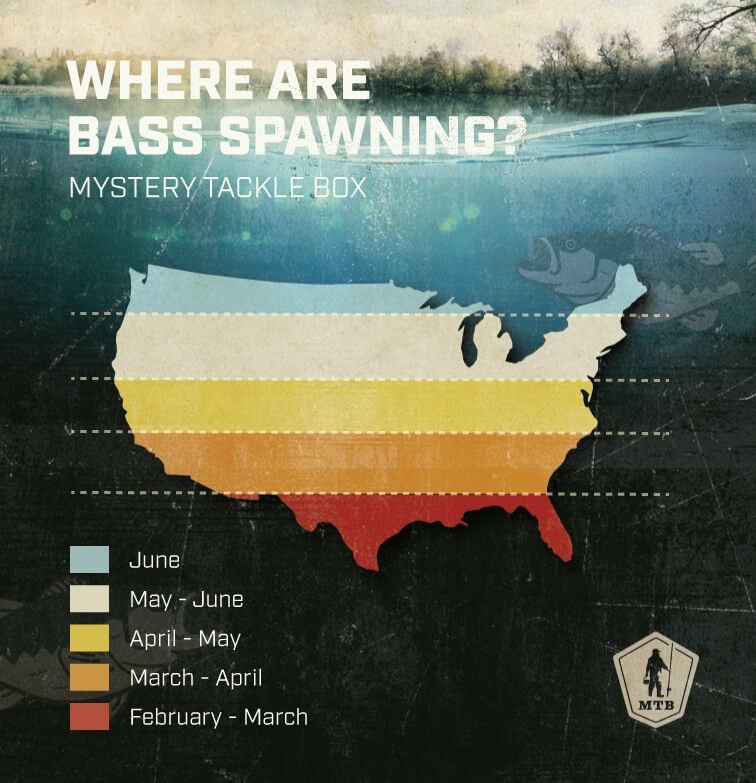 But, why does the bass spawn happen in the south first? Basically, it comes from the end of winter’s lazy period. Once the water warms up and bass lose their lethargic state of being, they have a predetermined need to spawn. Winter ends, spring is here, and the bass wake up just like the anglers!